We have toddler's size of Geta too!! 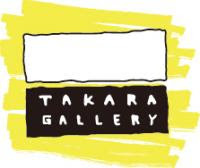 Geta and Tenugui both items are a made of collaboration with Gujomokuri and Takara Gallery workroom !! It's matching things!! This style for the Gujo Odori festival ! Kid's jinbei made with our screenprinted tenugui !! Finally came out!! Screen printed washi tape from mt ! These cute tapes are now available at our shop! !